When I was pregnant, I relished the opportunity to listen to my baby’s heartbeat at my doctor’s appointments and was equally thrilled by the ultrasounds. At the same time, I would fret if I hadn’t felt my baby move much in any given hour (to the point where my doctor said, “Katrina, you have to let your baby sleep sometimes!”) Perhaps it’s lucky that PreVue wasn’t available to me or I would have been glued to my ‘belly television’ for months! Student designer Melody Shiue created PreVue as a concept piece for the 2011 Australian Design Awards. 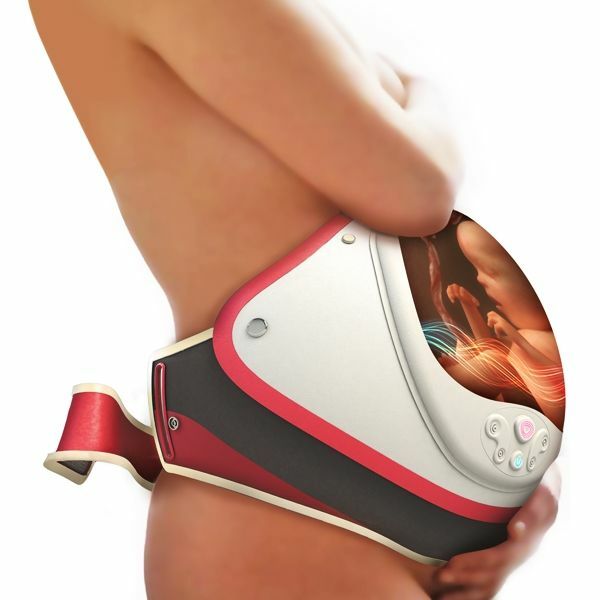 The PreVue is described as a ‘foetal visualisation device’ or, for a warm and fuzzy take on technology, a ‘reassurance window’ for mothers. 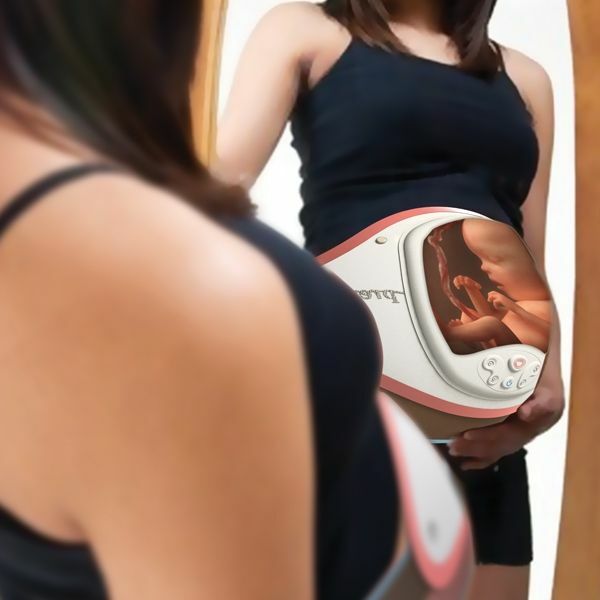 Using 4D ultrasound delivered via the latest stretchable display technology (e-textiles), the PreVue lets you see your baby moving, sleeping and kicking. I suspect that excited fathers, family and friends would be thrilled to ‘gather around the belly’ in lieu of whatever is on the telly! The PreVue was shortlisted for a 2011 Australian Design Award however did not make the finals – we’ll let you know if Shiue finds another way to get her incredible idea into production.